We like old fashioned things, but with a modern touch. What? Well that's the point with Art Lebedev's Kovrikus Domikus Doormat. 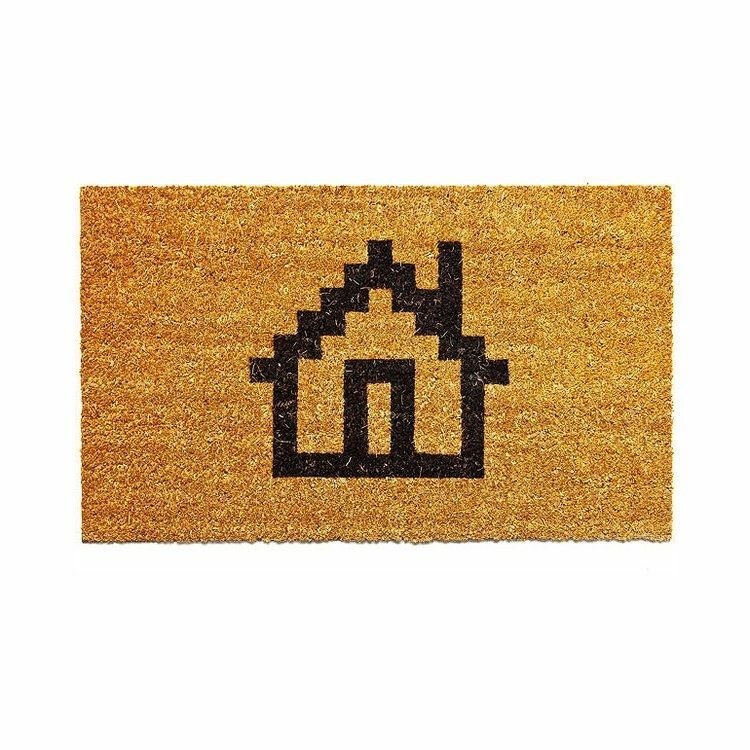 A pixelated image of a home, that could have been created with ASCII symbols, but this time put to work as a fine looking doormat. Great for modern houses. The mat is made of cocoa fibers and welcomes the guests to your humble house with style and humor. If your house entrance looks empty, here's a great alternative!